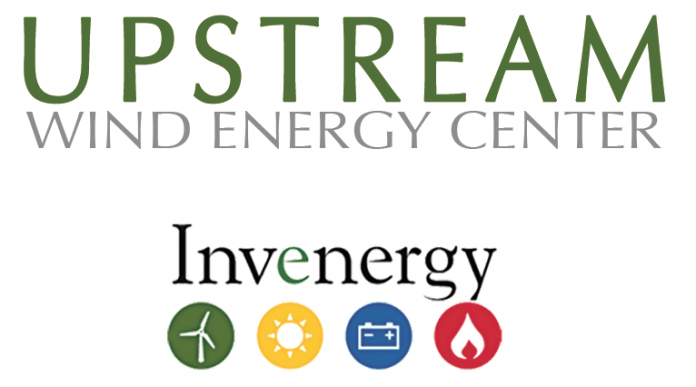 CHICAGO (Jan.17, 2019) – Invenergy, a leading privately-held global developer and operator of sustainable energy solutions, announced today the completion of construction and the start of commercial operations of the 200-megawatt Upstream Wind Energy Center in Antelope County, Nebraska. Located just north of the City of Neligh, Upstream was developed and constructed by Invenergy and will generate enough electricity to power 68,000 American homes. The project supported 275 workers during peak construction and will create 11 permanent full-time operations and maintenance jobs for the long-term operation of the project. Upstream will contribute approximately $2 million annually to the local economy through tax payments, lease payments to participating landowners, and wages and benefits for employees. Invenergy and WEC Energy Group signed a Purchase and Sale Agreement for WEC Energy Group’s acquisition of an 80 percent interest in the project. Invenergy will retain a 20 percent interest and provide operations and maintenance, asset management and energy management services for the project. “We commend Invenergy for achieving commercial operation and are pleased to partner with them in the deployment of this valuable renewable energy resource,” said Dan Krueger, Executive Vice President, WEC Infrastructure. This is the fourth project Invenergy has successfully developed and built in Nebraska. Invenergy drives innovation in energy. Invenergy and its affiliated companies develop, own, and operate large-scale renewable and other clean energy generation and storage facilities in the Americas and Europe. Invenergy’s home office is located in Chicago and it has regional development offices in the United States, Canada, Mexico, Japan and Europe.